When you install PS it comes with a tool called ExtendScript Toolkit, which is an IDE to write scripts - with debugger, console to try stuff out etc. 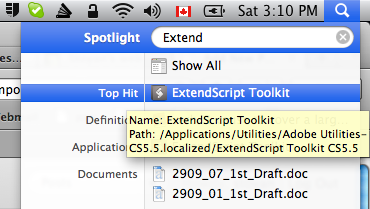 To launch I just type "Extend" in Spotlight search. I'm guessing it's got to be somewhere in Program Files\Adobe on Windows too. As you can see on the screenshot, it's easy to get started. 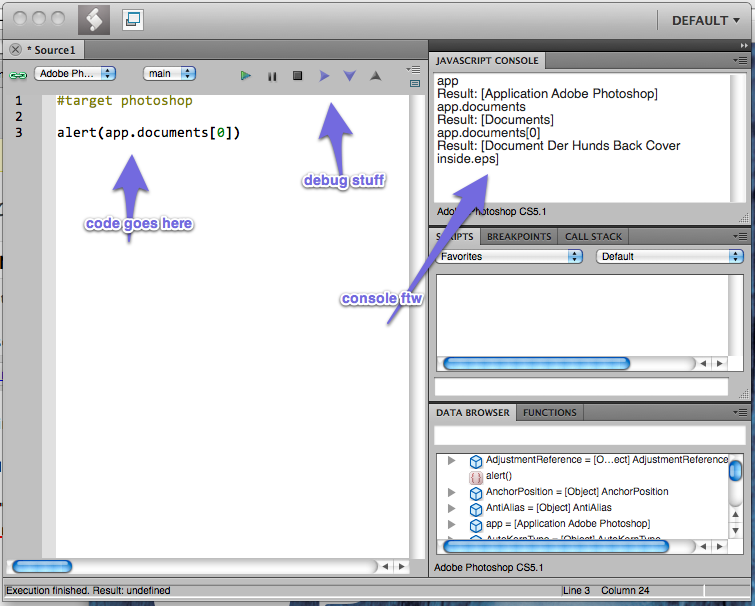 There's a green "play" button in the IDE, it runs your script. tells the engine that this is a photoshop script. Apparently you can script other Adobe products too. Also if you save your script file with a .jsx extension, you can put in on the desktop and double-click it. Easy as pie. Getting started with a completely new API can be a little uphill-y walk. For me it was especially so when it comes to saving a file with all the options. Worry not, you can generate code too! Check the scripting guide where it talks about "The ScriptListener Plug-In". It's a plugin that you already have, you just copy it to to the appropriate directory to activate it and then restart PS. Then whatever you do in photoshop will generate code in a .log file on your desktop. Then you can go back and cleanup that file (it generates somewhat verbose code) and get the parts you need. The document template is shown here with three visible layers. 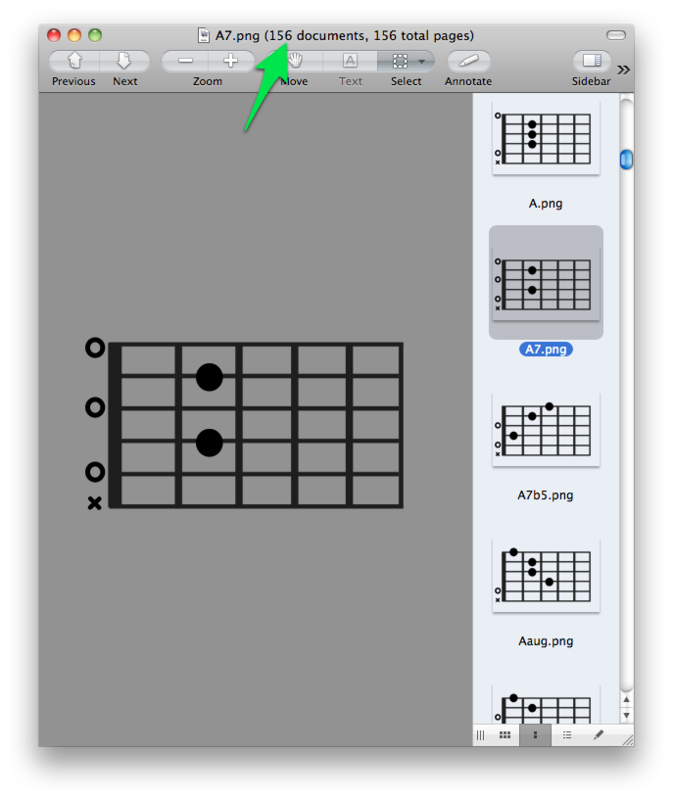 The task is to get the chord configuration, show the corresponding layers and save the file with the chord name as filename. 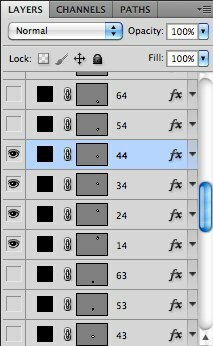 So I did this manually (while recording the generated code): show a layer, save the file. The generated code for saving a PNG is even worse, but I simply reindented it and shoved in into a function and that was that. Finally the part that I actually had to write myself. Notice how easy it is to include a JS file, in my case the data model m.js? The mojo object comes from m.js. How it works is not very important. The thing is it has a mojo.guitar.getChord() method. 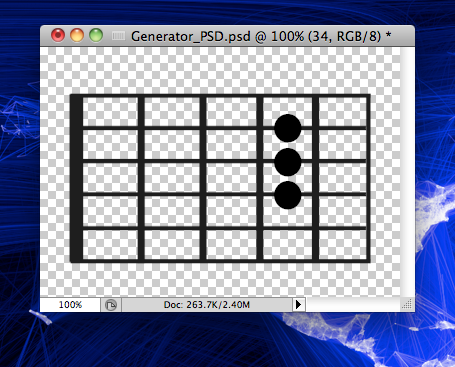 You give it a chord name and it returns an array - which fret needs to be pressed on each string. Run it and that's it - a bunch of PNG images are written. This entry was posted on Saturday, August 20th, 2011 and is filed under JS everywhere. You can follow any responses to this entry through the RSS 2.0 feed. Both comments and pings are currently closed. Entries (RSS) and Comments (RSS). 24 queries. 0.584 seconds.